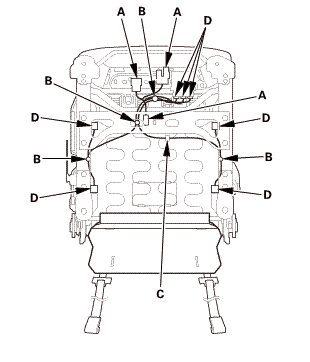 NOTE: The front passenger's weight sensor is part of the seat frame and must be replaced as an assembly. 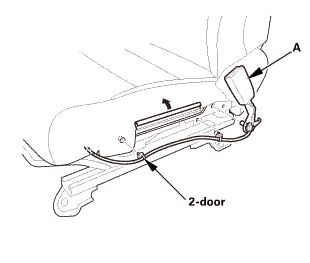 2-door: Remove the rear seat access knob (A). 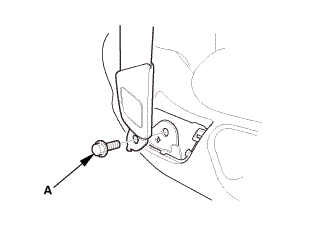 Remove the recline knob (A). 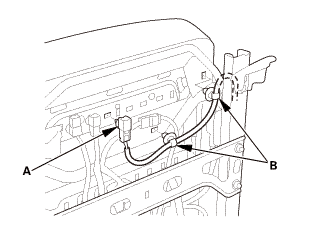 With seat heater: Disconnect the connector (B). 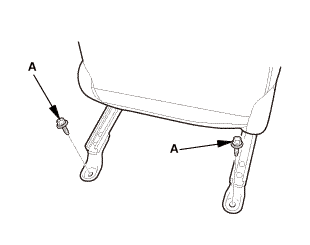 With seat heater: Detach the harness clip (C). 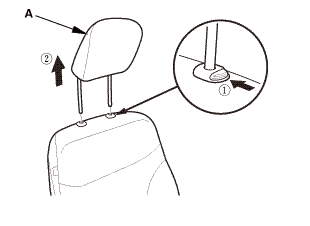 With seat heater: Release the holders (D). 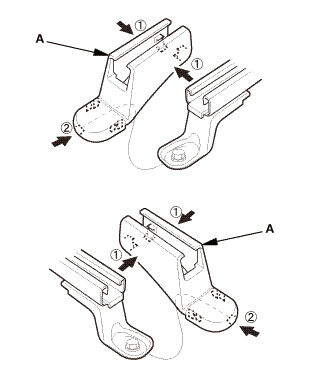 Release the Velcro fasteners (A). 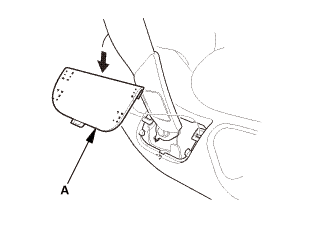 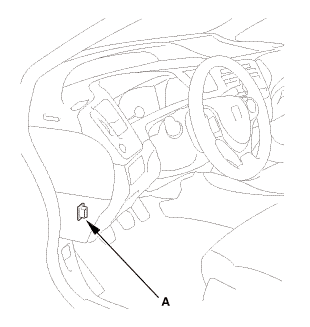 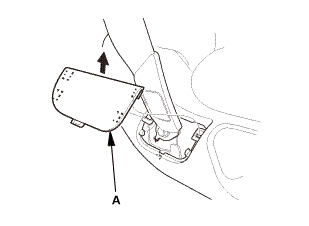 Remove the side airbag (A). 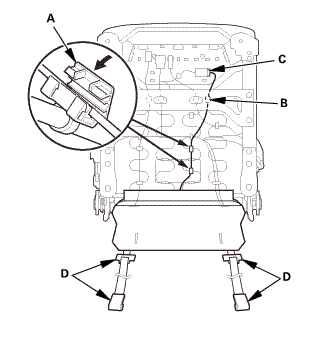 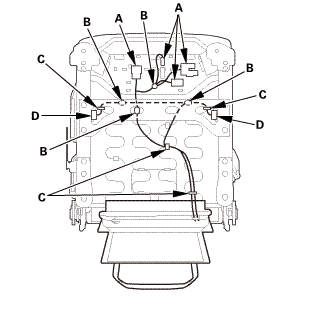 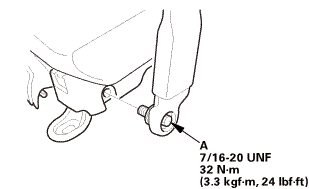 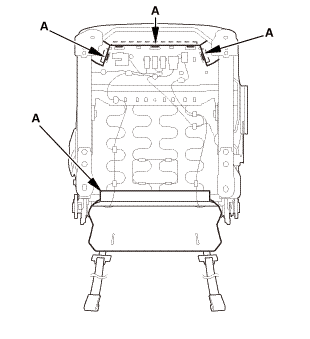 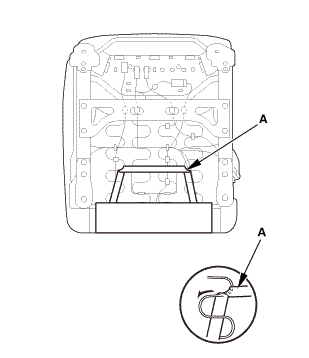 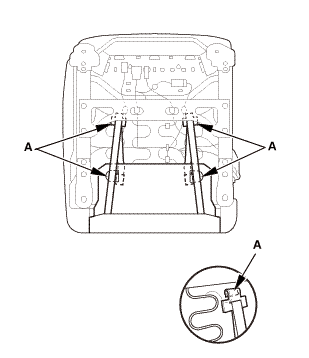 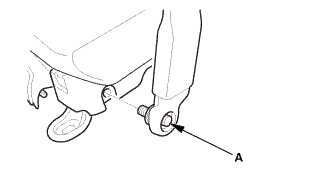 Remove the front passenger's weight sensor unit (A). 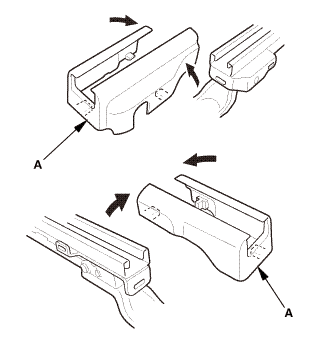 Detach the connecter clip (A) and the harness clip(s) (B). 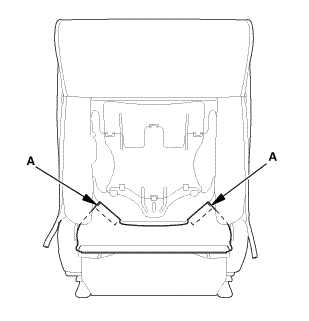 2-door: Remove the front rail cover (A). 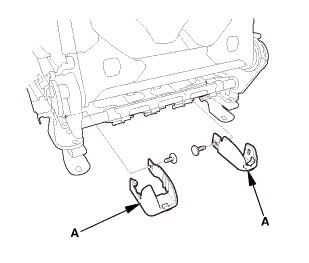 2-door: Remove both rear rail covers (A). 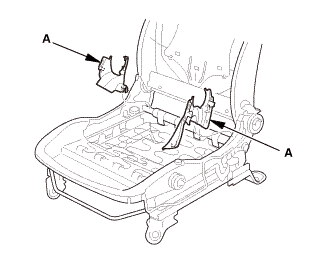 Remove the recline inner covers (A). Remove the upper rail covers (A). 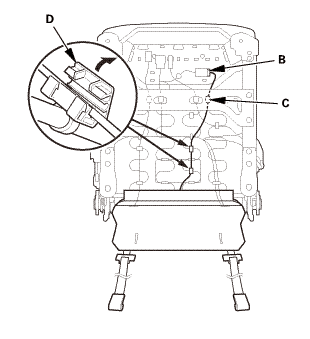 Detach the connecter clips (A) and the harness clips (B). 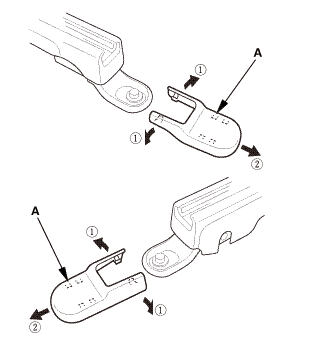 Remove the wire ties (C). 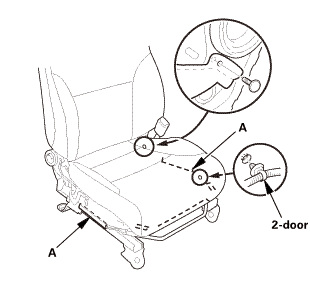 Remove the front passenger's seat frame/front passenger's weight sensors as an assembly. 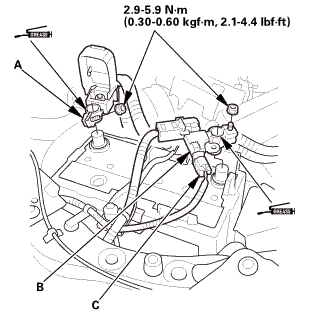 Be sure to install the harness wires so they are not pinched or interfering with other parts. 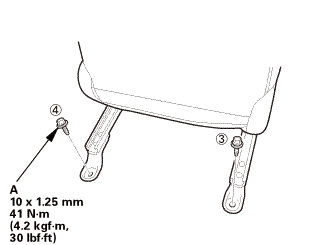 The front passenger's weight sensor is part of the seat frame and must be replaced as an assembly. Install the front passenger's seat frame/front passenger's weight sensors as an assembly. Install the connecter clips (A) and the harness clips (B). 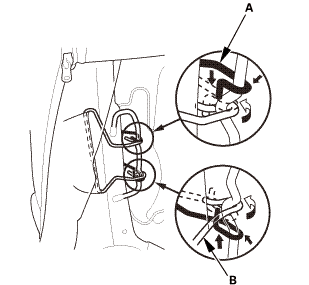 Install the wire ties (C). 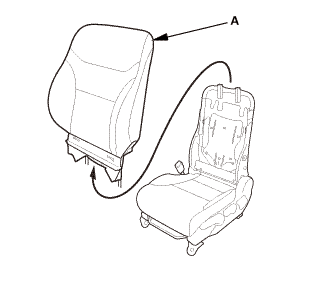 Install the recline inner covers (A). 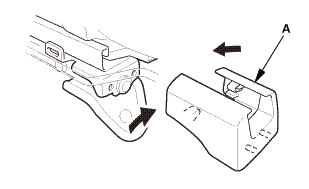 Install the upper rail covers (A). 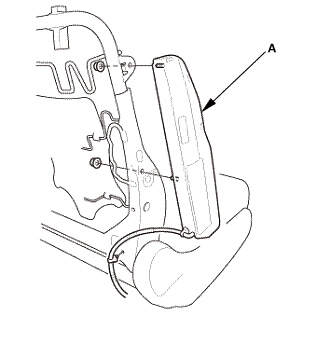 2-door: Install the front rail cover (A). 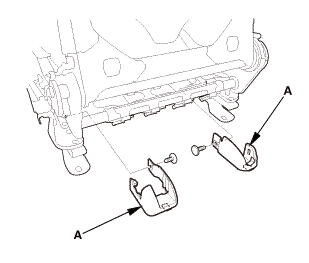 2-door: Install both rear rail covers (A). 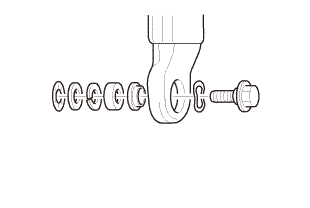 Assemble the washers and the collar on the center anchor bolt as shown. 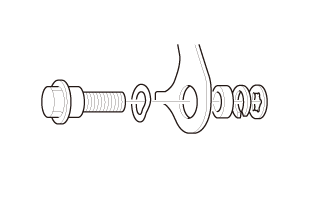 Apply medium strength liquid thread lock to the center anchor bolt before reinstallation. Tighten the bolts by hand first, then tighten to the specified torque. 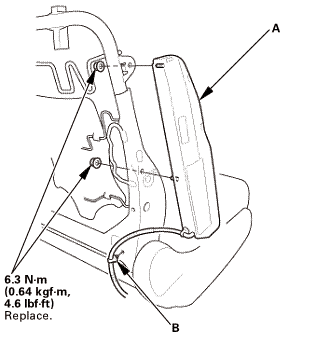 Install the seat belt buckle (A). Install the connecter clip (A) and the harness clip(s) (B). 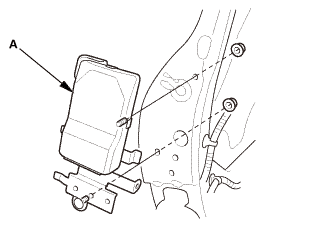 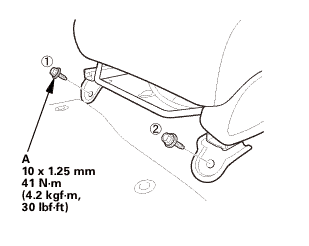 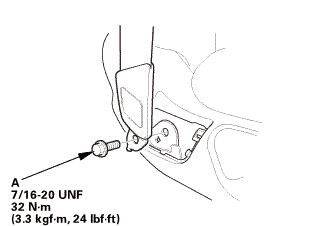 Install the front passenger's weight sensor unit (A). 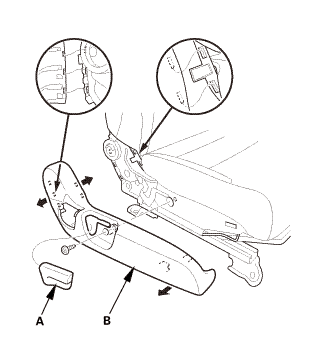 If the side airbag lid is secured with tape, remove the tape. 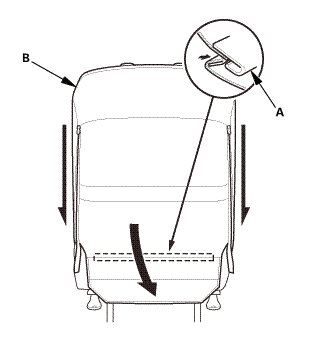 Do not open the lid on the side airbag cover. 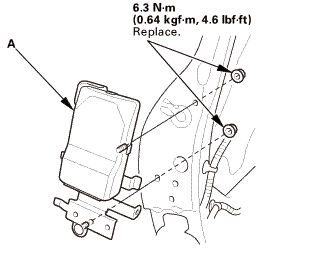 Install the side airbag (A), then tighten the new mounting nuts. 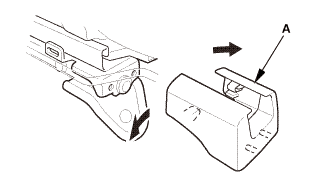 Install the Velcro fasteners (A). 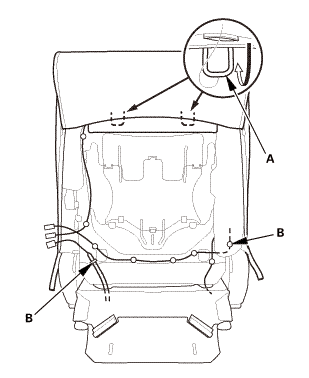 With seat heater: Install the holders (A). 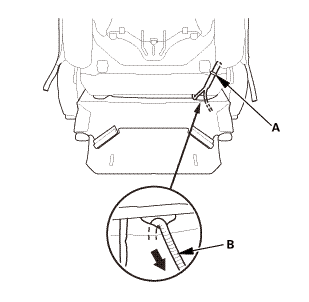 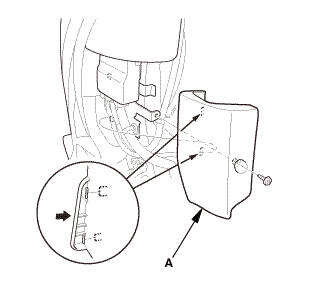 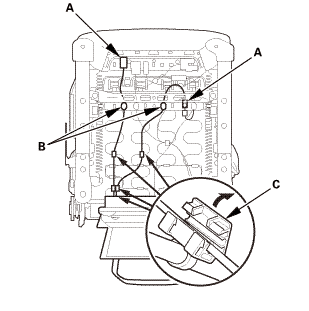 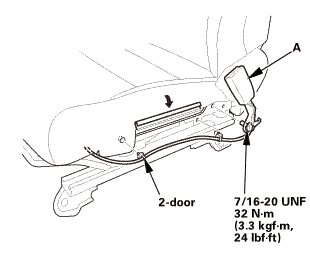 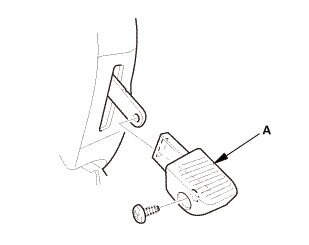 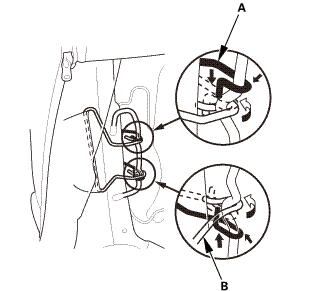 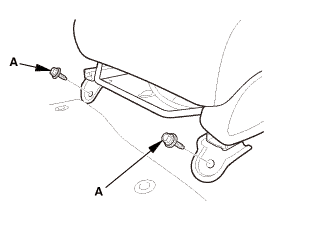 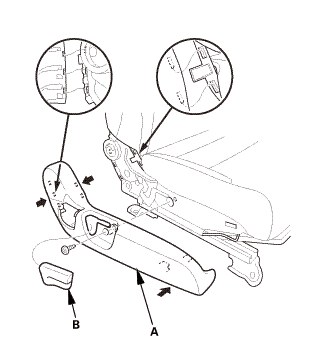 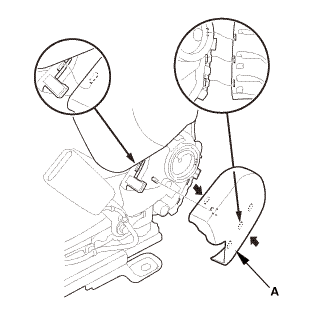 With seat heater: Install the harness clip (B). 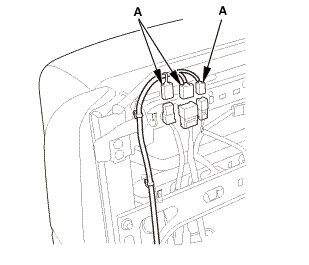 With seat heater: Connect the connecter (C). 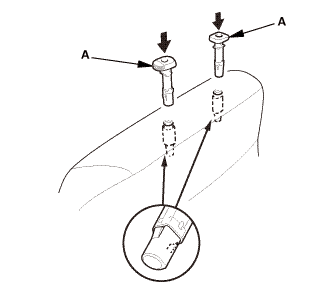 Install the recline knob (B). 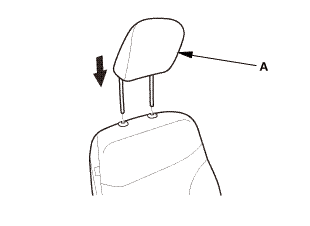 2-door: Install the rear seat access knob (A). 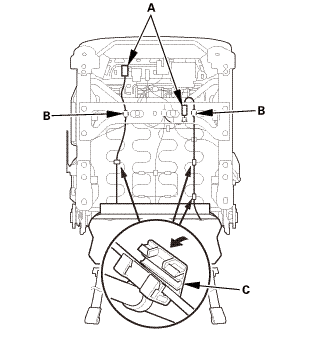 Before initializing the front passenger's weight sensor, clear the DTCs. 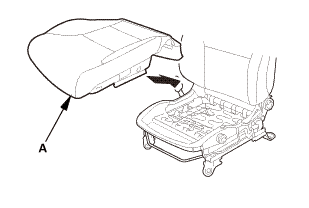 Do not touch the front passenger's seat during the initialization. 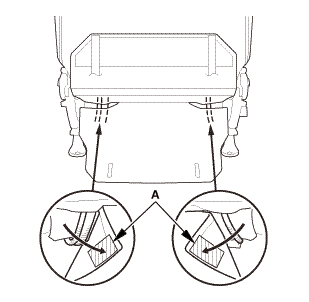 2-door: From the HDS Main Menu, select SRS, then INITIALIZATION. 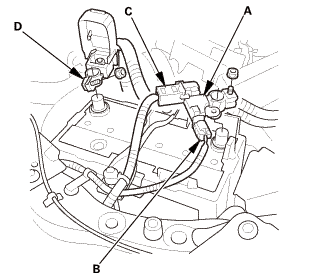 In the INITIALIZATION Menu, select SWS Initialization. 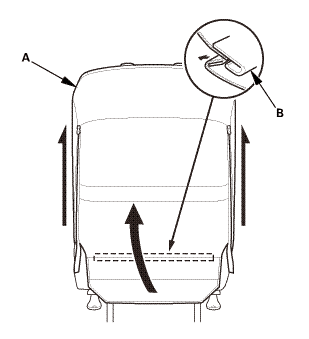 Follow the prompts until the front passenger's weight sensor initialization has been completed. 4-door: From SRS of the HDS Main Menu, select SWS, then Adjustment. 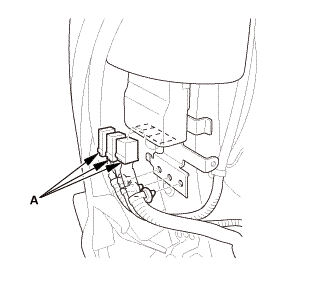 In the Adjustment Menu, select SWS Initialization. Follow the prompts until the front passenger's weight sensor initialization has been completed.